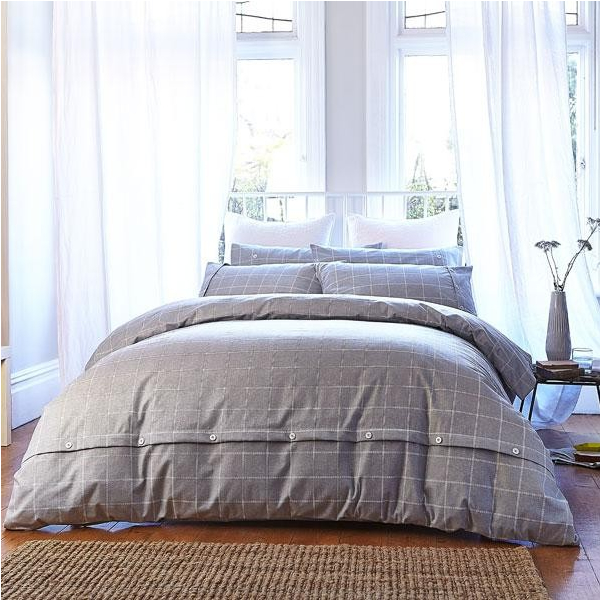 Quietly stylish, this soft, brushed cotton duvet set feels utterly luxurious and inviting. Its natural qualities mean that, as well as being lovely to the touch, it is also breathable and airy, so it is cool in the summer but warm in the winter. This all-round versatility is matched by its subtle colouring, meaning it will look great in any bedroom environment. Understated running threads, and some lovely use of the buttons in the design, ensure that this duvet set will be helping you to a good night’s sleep the whole year round.